I have to admit that while I enjoy traveling by snowshoe or ski in the winter, I find myself daydreaming for the spring, so I can spend some days in camp. My first TR Camp of the season is usually in Nebraska at an Outdoor Expo. Here, local school children are bused in to explore activities that hopefully will excite them into a life time of outdoor pursuits. These include kayaking, archery, fishing, identifying animal tracks, camping, shooting and many more. During the day, TR Camp gets very busy, with children visiting me and sharing their adventures of the day as I share mine of a lifetime. By the time they visit me they get an idea of how those experiences can come together to create a life-long adventure, which helps in the overall development of that wonderful attribute – Character. 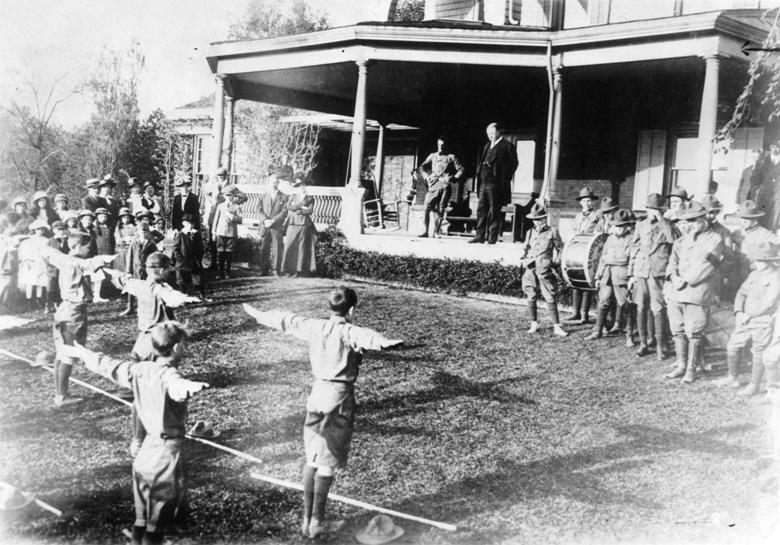 I try to embody that lesson so that they understand how those elements came together to create the leader we appreciate as Roosevelt, and the importance he placed on the natural environment in doing so. Based on the feedback, thankfully that message is being well received. But as much as I enjoy TR Camp during the hustle and bustle during the morning and afternoon, I appreciate it as much for its solitude at the end of the day. When the crowd leaves, camp becomes eerily quiet. I am often the only one there, other than the occasional Park Ranger making sure everything is secure. This time of year, it is not unusual for a storm cloud to pass over, quickly cooling the air and dropping rain that taps lightly on my canvas roof. The cool air finds me stoking the wood stove and settling by my writing desk to read or jot my notes from the day. The view out my door is a park – an open field or river that gurgles as I read or write. Sometimes, spring winds whistle through the tree branches or if the sun peaks out it alerts the birds to squawk and explore. The crowd, including the other exhibitors have left. Most are booked into a warm hotel room back in town with a bath, electricity and multiple television channels of nothing to watch. When they come back in the morning they find me sitting by my fire with a hot cup of coffee. Each seems shocked when I answer “yes” to their question “Do you sleep here”? I have never questioned my sanity for “roughing it”. I invite them into my warm tent and pour them a steaming cup of coffee and we talk for a bit about the day before and the day to come. When they leave I pity them for missing the sunset the past evening or the amazing sunrise that morning or the squall that pulled at my tent pegs during the night. One of my favorite Roosevelt speeches is entitled “The American Boy”. 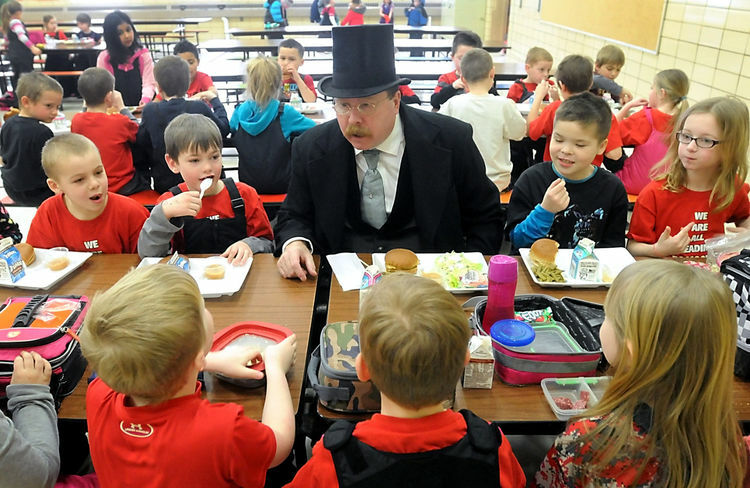 The American Boy speech supports the idea of raising young men of virtue and character. It supports the idea that in order to be a good man, he must first be raised to be a good boy. I suspect a great deal of the speech echos his father’s sentiments to young Thee. His father was a true role model of manly virtues that provided a path for his son to later lead a nation. I believe Roosevelt considered his job as President as akin to that of a father. His role was to provide the best guidance as possible as the national grew. “What we have a right to expect of the American boy is that he shall turn out to be a good American man. The boy can best become a good man by being a good boy–not a goody-goody boy, but just a plain good boy. I do not mean that he must love only the negative virtues; I mean that he must love the positive virtues also. ‘Good,’ in the largest sense, should include whatever is fine, straightforward, clean, brave and manly. The best boys I know–the best men I know–are good at their studies or their business, fearless and stalwart, hated and feared by all that is wicked and depraved, incapable of submitting to wrongdoing, and equally incapable of being aught but tender to the weak and helpless. Of course the effect that a thoroughly manly, thoroughly straight and upright boy can have upon the companions of his own age, and upon those who are younger, is incalculable. If he is not thoroughly manly, then they will not respect him, and his good qualities will count for but little; while, of course, if he is mean, cruel, or wicked, then his physical strength and force of mind merely make him so much the more objectionable a member of society. He can not do good work if he is not strong and does not try with his whole heart and soul to count in any contest; and his strength will be a curse to himself and to every one else if he does not have a thorough command over himself and over his own evil passions, and if he does not use his strength on the side of decency, justice and fair dealing. When I visit schools, I am always pleased when they say “The Pledge of Allegiance”. I believe there should be a flag at each business and place of worship with a requirement that each day start with that pledge. I do not say this as mere patriotic symbol, but as a way for all of us to reflect on the country we share. The pledge is meant to remind us why we all must interact with each other with human decency. I fear decency is the thing that is being removed from our democratic process and has tainted our perceptions of acceptable treatment to our fellow citizens. Equally worse, it has poisoned how those across the globe view our country. This Republic can be an amazing place when our people work together, but when we lose sight of being United and instead separate ourselves into fractional divisions, we threaten the very fabric of the pledge and nation alike. We are becoming divisible. Our fellow citizens are telling us so. Black lives do matter – and it is sad state when any group feels the requirement through violence to remind us. The realty is that all lives matter and all voices matter as well. We must co-exist and work together to solve these issues and appreciate the others viewpoint. That is not easy to do but it is necessary to do. How can we teach our children to treat each other with decency when we don’t lead by example? How can children believe in the future when the people who want to lead us cannot demonstrate decency to each other? Perhaps it is time to take a pledge to do so. I have a suggestion of a place to start, and almost any grade school student would be happy to teach it. The challenge of our choosing our leadership in Theodore Roosevelt’s words. I was fortunate enough to be part of the launch of the IMAX film “National Park Adventure” at the OMNI Theater at the Science Museum of Minnesota this past weekend. This is a must see film for you and your family. You will see the most amazing places this great country has to offer. Along with beautiful scenery, you will understand the important role President Roosevelt played in the expansion of our National Parks, the legacy that is left behind for all to enjoy! But don’t take my word for it. Get in your car and find out for yourself. For many years my good friend Buffalo Bill Cody (Tom Doroff) and I traveled to Golden, Colorado to be part of the annual Buffalo Bill Birthday Bash. 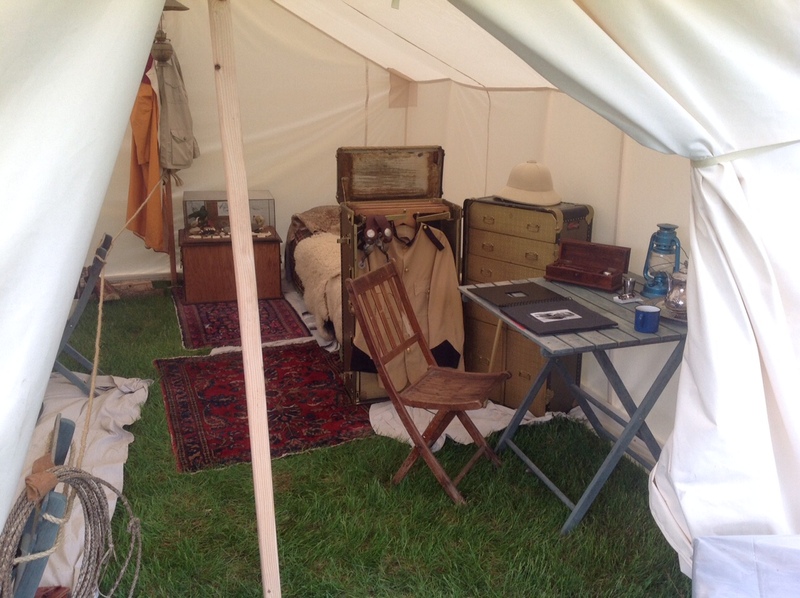 This celebration included a competition for living history performers to show their stuff, be quizzed on their knowledge by subject matter experts and earn bragging rights. After three years of driving 900 miles through blizzards either one way or both, Tom and I decided we had tested our guardian angels enough and hung up our competition hats. All our wives and friends had as reference point to the event was our greatly amplified stories of the past. Soon, I had gathered my beautiful bride and our good friend Bat. We all watched and enjoyed Tom perform to earn coveted 2nd place. Because of my busy schedule, I seldom get the opportunity to watch others at their craft. It’s so helpful for me to see how others bring to life the people they portray and gain insights so I can hone my own abilities. I certainly love presenting TR to audiences across the U.S., but I also enjoy learning from others about characters from history I perhaps had never heard of whom I have come to appreciate because of these talented individuals. 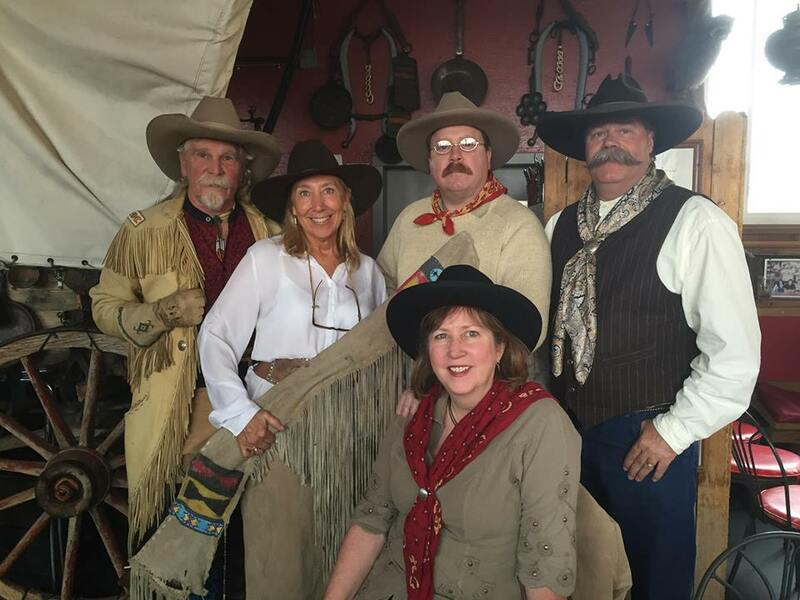 It was at the first event I attended many years ago that Colorado’s Official Buffalo Bill Cody, Ralph Melfi, described us all by a term I have really taken to heart = Living History Performer. I believe it really describes how those of us who re-create these important people should be. Living = Bringing to “life” a person from the past who has an important message for the future or who impacted our own way of life. History = A past that is worth remembering because it has a meaning for us (sometimes positive and sometimes negative) presented in a way that is not a text book. Performer = A reminder that we have a responsibility to tell the story in a way that engages, enthralls, amuses and delights the people who are watching. I was lucky to see amazing talent who once again mentored me through their sharing of their skills. Thank you to those who continue to inspire young and old with important messages from our ancestors of the past. Thank you as well to the Buckhorn Exchange for preserving history at their location (and their awesome menu), and supporting those who do so outside of their wonderful restaurant. I wrote this back in 2013 and stumbled upon it. I decided it needed to be shared. Enjoy! Over the past almost two weeks I have been living a lucky cowboy’s life, sans cattle. 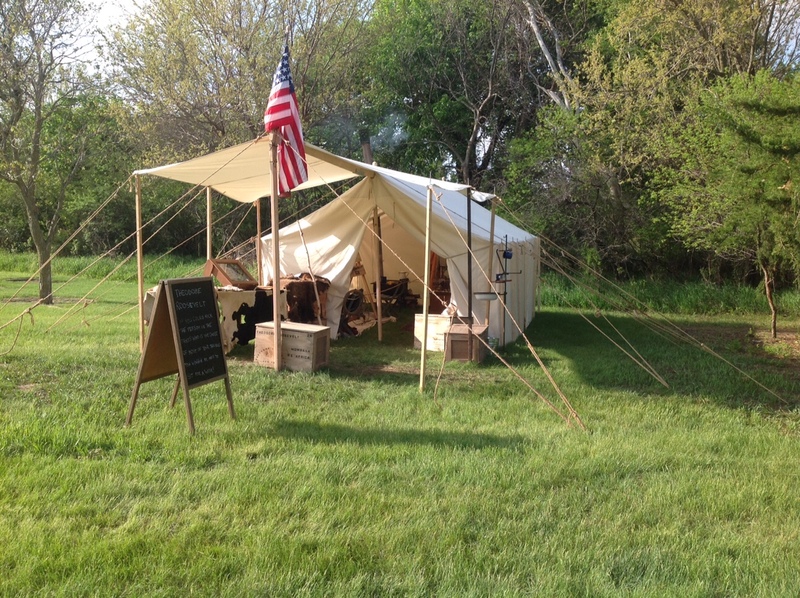 I have slept each night in a canvas wall tent; dined by a chuck wagon; sang hymns and music of the times and have been surrounded by people who, like me, were dressed in clothes of a bye gone era. My mornings started by stoking the stove in my tent, then dressing in layers that could be adjusted to the day. A fire would be built under my canvas tarp to cook my breakfast and I would stare out at the other camps around me, smoke billowing out of chimneys of the nearby tents and teepee’s. I would see the outline of a cowboy sitting by a fire with a large pot of coffee hanging over, licked by flames. The bacon would start to sizzle in my cast iron pan as I strolled to say hello for the day and beg a cup of their strong black eye-opener. We would talk of the night before, the day ahead and the weather expected and other gentle small talk that friendly neighbors do. Occasionally there might be a hot donut bubbling in oil on the fire, or a dutch oven full of fresh buttermilk biscuit’s eager to be shared. During the day I shared Mr. Roosevelt. People in modern clothes would ask me about my life as they tried to comprehend living in the past. In the evening, the crowds would leave and our makeshift village would once again slow to a normal pace. The blacksmith would deliver the goods he made for us; eggs would be traded for a loaf of bread; children would beg chores in exchange for money to buy candy from the store. We would sit together and share our food and eat until beyond full and then visit on about the day. Each step back to my camp would provide invitation into a camp to help them finish what they had cooked. I began to understand how my great-great grandfather the blacksmith of the town and a founder of the Vasa Lutheran church connected to a community. My lungs have never ingested so much smoke. The clothes I wore smelled of it along with sweat and sweet earthen mud. Sometimes I was so cold that no amount of layers seemed to warm me when I was away from the fire. For three days everything I owned was wet from a storm that would not leave, my “fish skins” ( water proof duster ) doing all it could to keep me dry – but the dampness working its magic to send shivers. The next moment I would be so hot as to not be able to control the perspiration. I would sponge myself with a wet cloth when I could using a handmade lavender soap given to me by a store keeper for telling him a story that made him laugh. Each day I sat at the end of the day and watched the sunset, just like I had watched the sunrise, and felt blessed to enjoy another day. This morning I woke up in my own bed at home and soaked in a bath as a television blared in the background. The washing machine hums even now as I write this on my computer, a device of which for almost two weeks I did not touch. My experience taught me that although the past was a tough life – in many ways, it was simpler. I chopped and hauled wood each day for my fire; gathered and hauled water by the river; and cooked slow meals made from pure ingredients. I boiled clothes when they got dirty. I worked hard each day and when the crowds had left, I stopped and read a book, the pages new and crisp and untouched for far too long. I learned from others skills I knew I should know, and facts that I never really appreciated – until I was able to not be distracted by modern life and could truly listen. The switches that make it easy to change light from dark in my house were appreciated last night when I finally got home. But that campfire aglow and a song wafting down along the grass into my camp, for me, trumps any convenience that I have today. There are many celebrations occurring cross the country this year for the 100th anniversary of our National Parks. I, along with several of my TR friends, will be contributing to these events, partly because many mistakenly believe Roosevelt created the National Parks. Here is where you might need to pull out your history books for a refresher. The first National Park was Yellowstone, established in 1872, well before Roosevelt’s time. 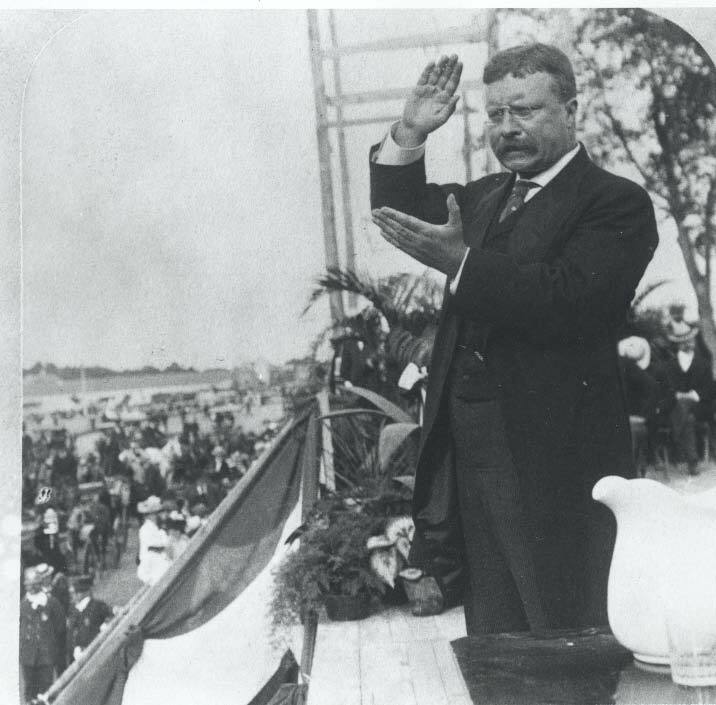 During his Presidency, Roosevelt doubled the number of National Parks from 1901-1909. So that begs the question, why is 2016 the 100th Anniversary? Because it wasn’t until Woodrow Wilson that the creation of the National Park Service occurred. So why is Teddy often credited with the parks creation? Because it was Roosevelt’s contribution to conservation and wildlife preservation that resulted in a national awareness of the need to continue to preserve the American Landscape. Three major contributions of Roosevelt led to this: His doubling the number of National Parks while President; The creation of Wildlife Refuges and; the Antiquities Act of 1906 which created our National Monuments. We must also remember that it was Roosevelt who hired Gifford Pinchot as the first Chief of the United States Forest Service to help manage our forest resources. 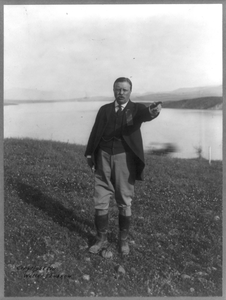 During his Presidency, Roosevelt would help protect 230 Million acres of land. There is a very real reason he is called the conservation President! As part of my mission for 2016 and hopefully beyond, I encourage you to take this year to explore this amazing land. Take your children and their children on the real kind of adventure. One where electronic devices are used only to record the sights and sounds to remind us of our experience. An adventure where our conversations revolve around the amazing landscape that surrounds us. Our parks, local, state and National are our real treasures. Preserved because you enjoy them – but enjoy them you must to keep their preservation. You may have heard that President Roosevelt banned Christmas trees from the White House during his Presidency because he was worried about deforestation. Did you know that his children however were not as enthralled with the idea! In 1902, Roosevelt’s two youngest sons, Archie and Quentin, went outside and cut down a smallish tree right there on the White House grounds, snuck back into the White House, and hid it in a closet. The two boys decorated the tree in secret and even enlisted the help of an electrician on staff at the White House to help decorate it with lights. When Christmas morning came, Archie gathered his family outside the closet, turned on the switch, and opened the door to reveal the tree decorated with gifts for the entire family. 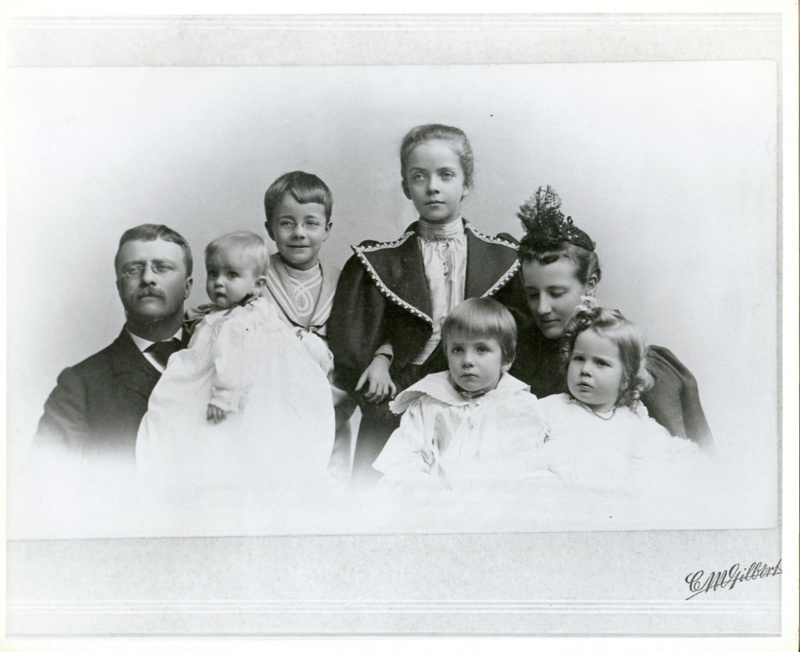 Roosevelt was a devout Christian who also doted on his children. That Christmas morning was undoubtedly a lesson for everyone! A special thank you to the www.ncregister.com/blog/matthew-archbold for additional insight into this event! Like many, I found myself traveling to a family function for Thanksgiving again this year. My favorite part of the holiday is not the carving of the Turkey or even the pie selection. It has been consistently the blessing at the start of the meal, where we are asked to reflect on the previous year. We are asked to think of those lost who are no longer able to be with us at the table and to reflect and be thankful for each other. I have never taken that blessing lightly, as I truly believe it is important to be thankful . When I read Roosevelt’s words, I am reminded of this: What we have should be much smaller than what we give. As we sat after dinner reading the advertising curriculars for Friday deals, I realized that our perspective of “giving” has changed. We now believe that a stacking of more gifts under the tree is the measurement of giving – It is not. The real things that my Grandparents and Parents gave me as gifts are the things that last: character, resourcefulness, courage, honesty and an ability to laugh at myself. Those don’t come packaged in boxes. They are gifts that are given with love and recirculated to each other and the next generation in the most important way: Deeds. We should be Thankful for the gifts we have but all must do our part to make sure that we re-gift it again to the future generations. The gifts I speak do not come in boxes, they come in deeds.